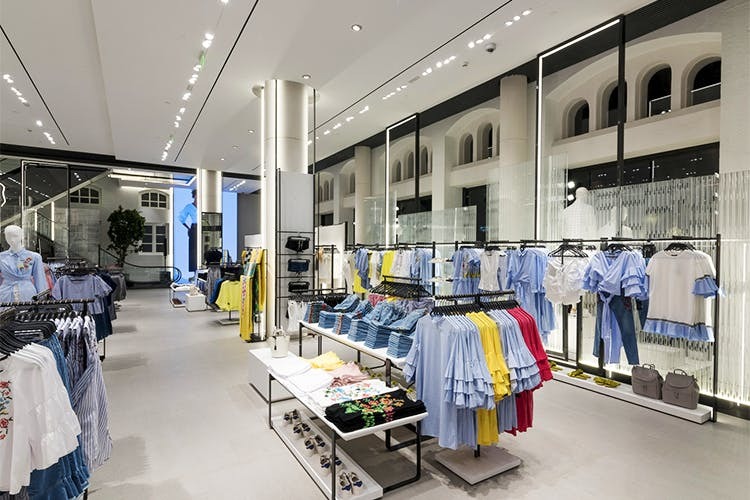 Did you'll know that Mumbai is home to our beloved Zara's biggest outlet? Believe it or not, the biggest outlet of our beloved brand Zara is here in Mumbai. It is located at Hutatma Chowk Square in Fort. We had an idea about it being a huge store, but little did we expect it to be a 5-storey shop spead over 51,300 sq ft! Ismail Building, which is more than 110 years old was restored over two years to welcome Zara, which is here to stay. With newer openings like leather brand Nappa Dori making its way to the SoBo side of Mumbai, Fort is soon replacing the mall culture, and we sure are looking forward to it. The doors are wide open, and are only waiting to welcome you. Get there quick, and make sure to make to cancel all appointments. You're going to take a long while there.